I am writing to report on my experience with your bullets. 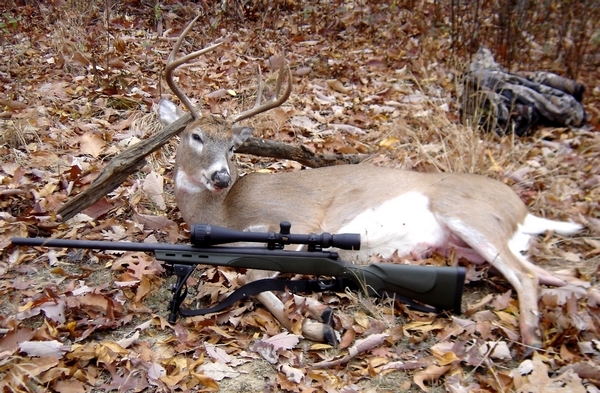 I shot an 8 point Kentucky whitetail with a .223 Remington using your 40g HV bullet. I loaded your bullets with 28g of Benchmark to a velocity of 3800 fps. With a Remington 700 SPS, this load averaged 0.594" for 3 consecutive 3 shot groups. The whitetail was shot quartering away at 35 yards. He went about 20 yards, looked around, then fell to the ground. 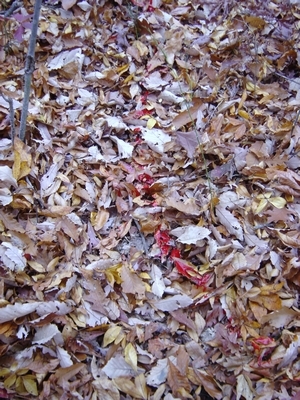 I have enclosed a picture of the blood trail and the bullet performance. 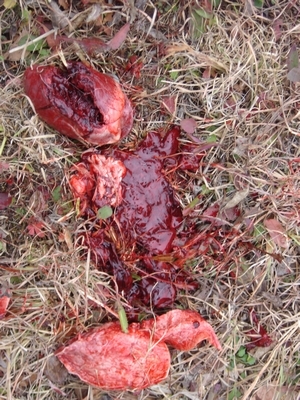 The bullet hit a rib going in and made soup out of the on-side lung with a groove through the heart. The bullet then penetrated through the chest and out the off-side shoulder. I believe that for such a little bullet to strike at 35 yards and penetrate completely through this whitetail at 3800fps, is a severe test. I feel your fine product passed this test with flying colors. Thanks for making such a great product.